Mount Royal student Fereshta Ali Bik organized the Cultural and Interfaith Fair as a response to the Jan. 29 attack on a Montreal mosque that killed six people. The fair ran March 6-7 and was aimed at promoting diversity and acceptance between students. 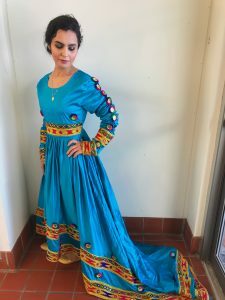 As a part of the event several different groups at MRU were invited to book a table and showcase artifacts, posters, clothing, jewelry and instruments associated with their culture. The Lions Club, Aisic Club, Afghan Children’s Society and Parent Link Centre came together to support the event. Activities like free Henna, a fashion show and a photo booth were also made available to students. Ali Bek, is grateful to have had the opportunity to run the event, “Overall, I am blessed. I can take deep breath knowing that I made a difference into the students and the professor’s lives. I am thankful for organizing these two amazing days as I move forward with my life.” She hopes it will continue to happen in coming years.